Nicky Whittaker has joined the professional division of Miele as a National Account Manager to support UK sales and growth. Nicky arrives at Miele with a wealth of technical laundry knowledge following a career spanning ten years working for Miele partners. In her new role, Nicky will make use of her extensive knowledge of Miele products to build sustainable customer relationships, advising Miele’s commercial customers, from care homes to vets to hotels, on specialist laundry and dishwashing equipment to suit their needs. In her previous position at Miele’s partner Goodman Sparks, Nicky took a consultative role, assisting customers with implementation, sales and after-sales service. This included advising on waste legislation and construction surveying for NHS, Hotels and Housing Association projects. Nicky’s also spent eight years working at Wilson Electrics, where she also provided Miele’s professional range alongside other industrial laundry brands. 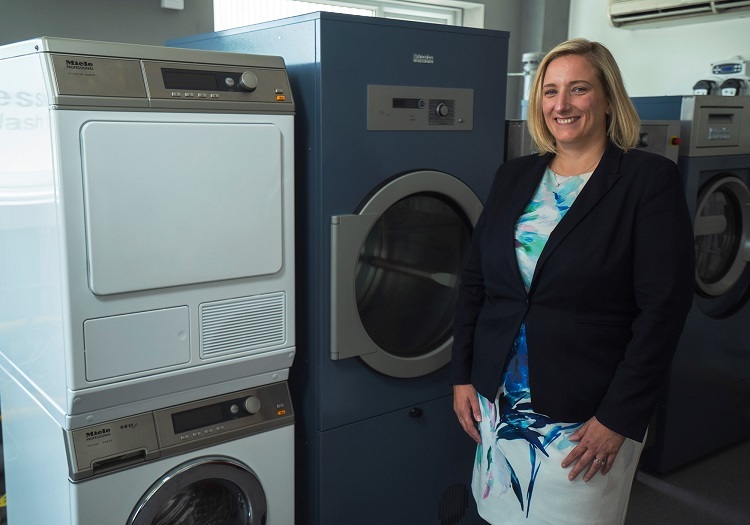 Nicky has successfully given customers the benefit of thousands of Miele products over the duration of her career, having brought in 80 regional sales of the manufacturer’s Little Giants range in 2017 alone.